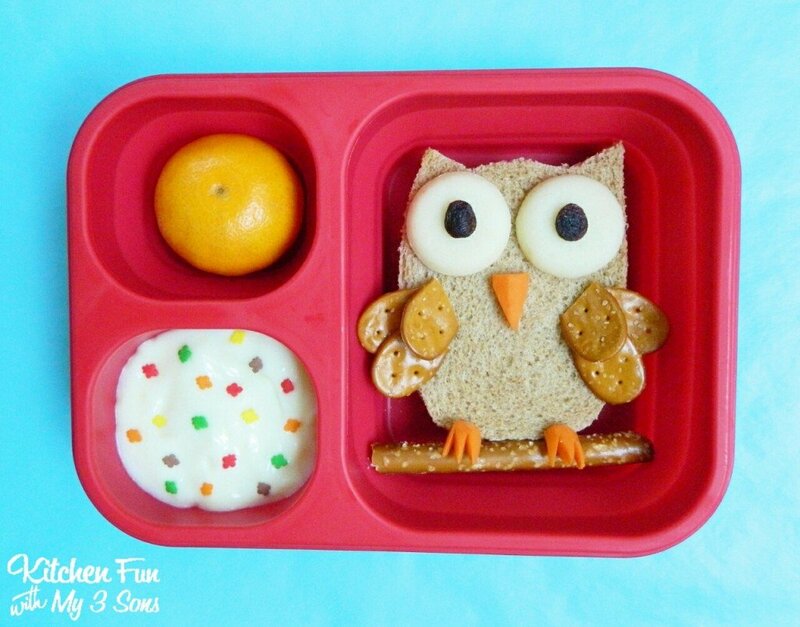 We were asked by Babybel to create a Back to School Lunch & came up with this cute Owl Lunch! 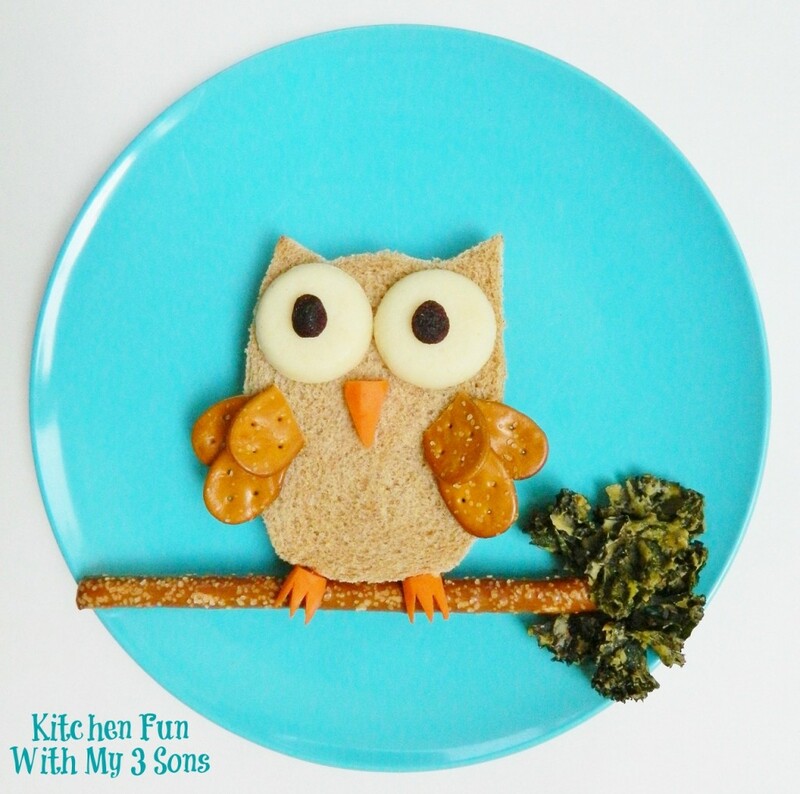 This fun lunch is so easy to make & my boys thought this was super cute. 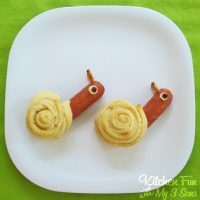 This is also a fun lunch that the kids can create all by themselves! Start out by cutting one piece of bread into the shape of a owl. Use that piece as a guide to cut the other piece using kitchen scissors. Place on a plate or a bento container (picture below). Cut a Babybel in half & place on the top for eyes. Press on raisins for the pupils. Break the pretzel spoons in half & press on the front sides to look like wings. You can also use mini pretzel twists. Use peanut butter to attach if needed. Cut the baby carrots using a knife to make the beak & feet. Place a pretzel rod at the bottom. 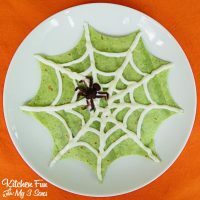 We used kale chips for the leaves, but you could also use green grapes if your kids refuse to eat kale. I suggest trying the kale chips…you might be surprised at how good they taste! 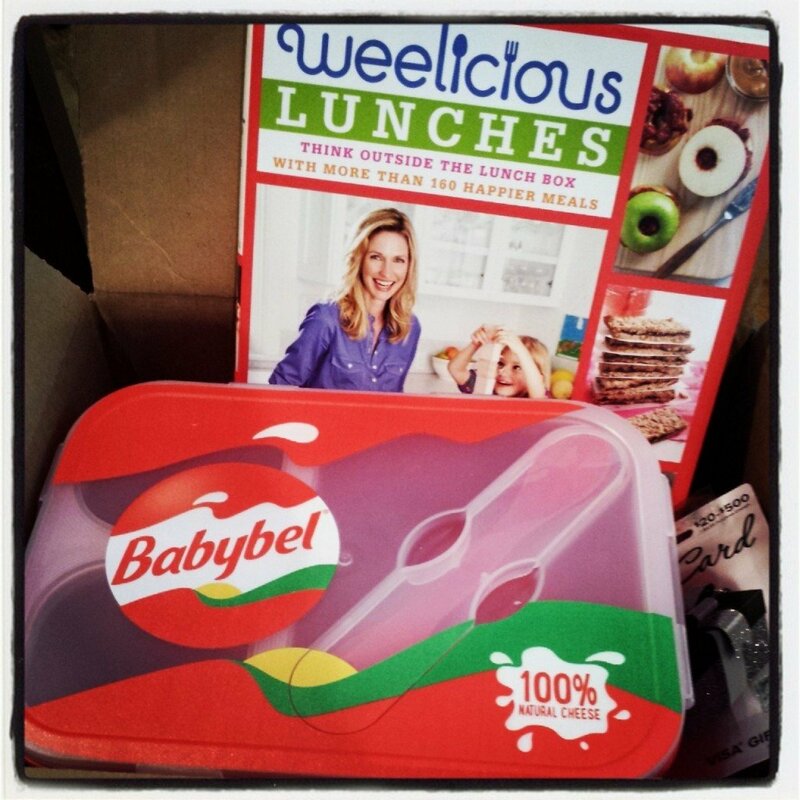 We received this fun “Snack a little Bigger” package from Babybel to create our Back to School lunch. I am in love with this lunch container! The bottom pops out & it’s great for storage. It even includes a fork, spoon, & knife all in one! :) We also love the Weelicious Lunches cook book…so many great ideas! 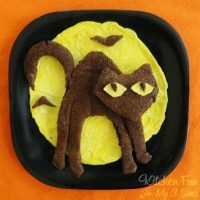 You can check out all of our other fun Lunch creations HERE! Cute owl. I've not seen pretzel spoons, but will have to seek them out in my grocery store. They made perfect wings. You come up with such amazing ideas! My grandson is almost 2 now and I am so obsessed with trying out your different ideas , like I just wanna do them all in one day haha.